The Detroit Tigers Opening Day lunch has become a SolvIT tradition! It just makes sense to celebrate our Detroit pride and after a cold Michigan winter, we're ready to welcome the spring and baseball season. 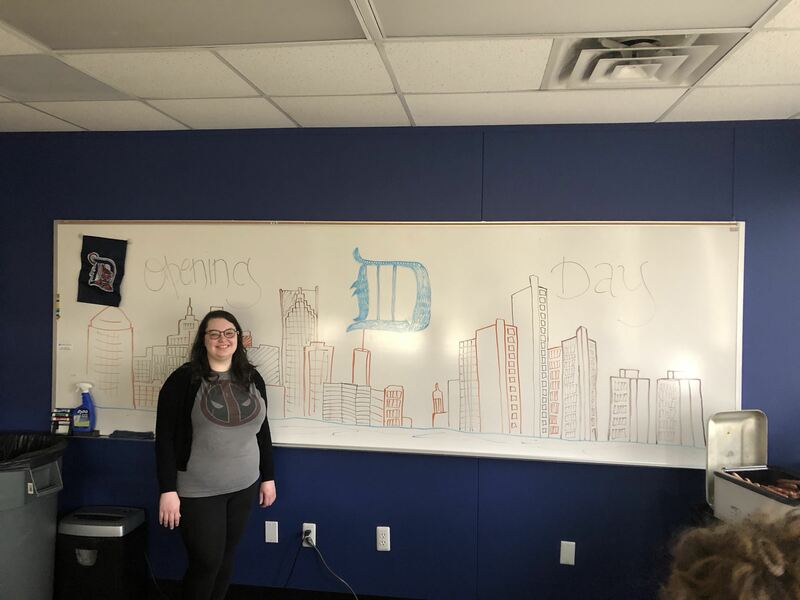 Team members show off their Detroit Tigers swag and join each other for a ballpark inspired lunch which includes the classics: hotdogs (with chili if you'd like! ), candy, nachos with hot cheese from our very own nacho cheese machine, and ice cold pop. Of course, we can't forget about the gameday raffles! Two lucky team members won a Tigers Tervis Tumbler stuffed with candy, Tigers pens, and a Tigers lunchbox. We may not have made it to the game, but we sure celebrated the best way we know how. Now we're ready for spring, baseball, and more team events. Go Tigers!